The Recycler Compost Bin is not only efficient and easy to use, but is one of the only composters available that is made with recycled plastics. Both the sidewall and lid materials are loaded with ultraviolet inhibitors and protection providing a long service life. The Recycler Compost Bin comes in two sizes; large 36″ Dia. X 36″ height with 21 cubic feet capacity and small 27″ Dia. X 36″ height with 12 cubic feet capacity. The Lids are made from 100% post-consumer recycled plastic and the wall from HDPE plastic. 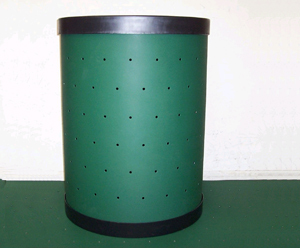 The composter is green in color with black lids to blend in to the landscape. Lids are especially designed to allow rainfall inside to keep the compost moist and the sidewalls have opening to provide proper ventilation. Insert bolts from inside through slotted hole at the edge of the cylinder. Push hard to get a snug fit. Place washers on bolts. This will insure that you will not lose the bolts. Align bolts with holes in opposite end of sheet, press bolt through holes, attach wing nuts and tighten securely. Wing nuts should now be on the outside of the bin. 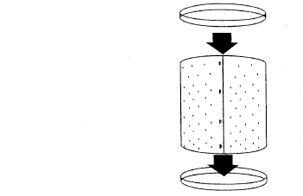 Place cylinder on level ground. 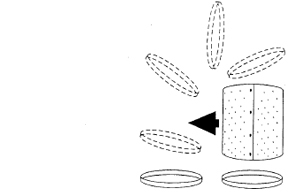 If you are using the optional dishes, place cylinder into dish, and place second dish on top. Add yard waste to bin by removing top dish. 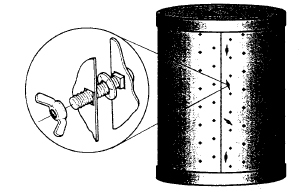 When compost is ready to use, take cylinder apart. Remove material that is dark and crumbly. This is your finished compost, and is now ready for use in your garden. Put cylinder back together and return the uncomposted material into the bin. As you prune, mow, trim, and rake your yard waste, add it to the bin.